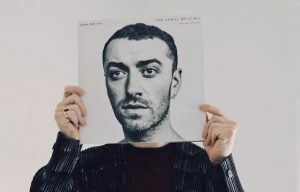 Sam Smith has released new single ‘Pray’, the second track to be taken from his forthcoming second album.The soul-infused track features Timbaland on production duties, and comes complete with powerful choral backing. The track follows the release of comeback single ‘Too Good at Goodbyes’ last month, the first to be taken from newly-announced second album ‘The Thrill of It All’, which is set for release on November 3. >>> You can download Pray – Sam Smith ringtone free for mobile now!